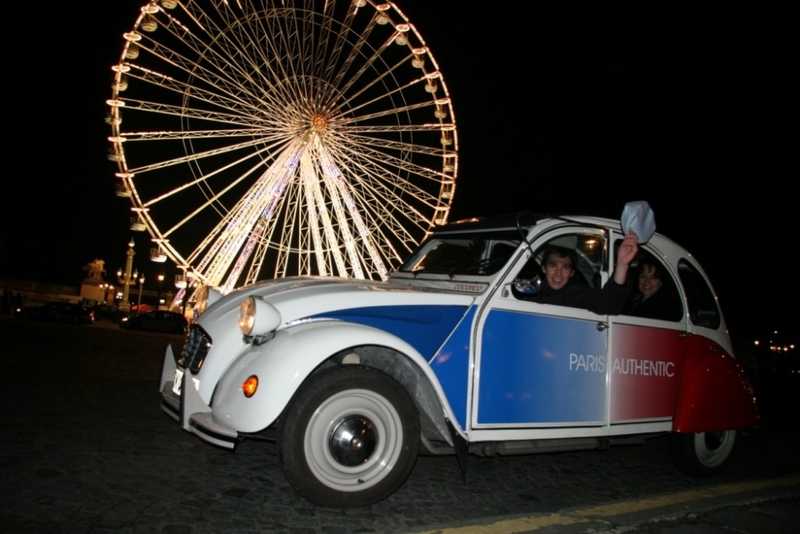 Convertible during the summer and endowed with a transparent top during the winter, the 2 CV of Paris offer your team a panoramic and impregnable view on Paris and its monuments all year long! 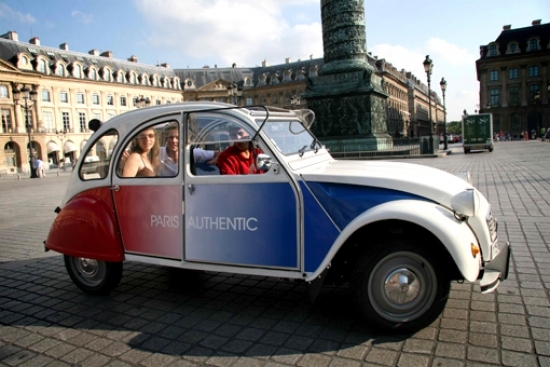 With its mischievous look and its tremendous charm, this mythical blue, white and red car, drived by romantic parisian drivers, makes you discover the authentic Paris. Many joyrides will be proposed to your co-workers, from the classic one to the most unsuspected one. 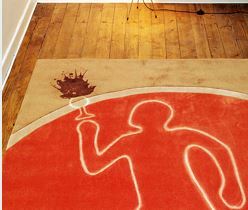 We will recommend the most appropriate route for your team! All drivers speak english, spanish, and italian and german on request. Funny and user-friendly activities : photographic negative, little sporting event, cultural enigma, orienteering and so on. Teams will have differents routes to follow! Teams are maked up before the departure. The treasure hunt begins: teams will discover several places in a different order. This way, they will see the same roads but not in the same order! You start off by going down to the Champs-Elysées and to the big and small Palaces. Then, you admire the invalides by taking the bridge Alexandre III, the most beautiful of Paris! Lastly, you will join the military academy and finally discover, raised in front of you, the Tour Eiffel Majesty ! The mission is to make you discover the hidden side of Paris... Take advantage of a poetic stroll in the narrow and unusual streets of the unsuspected Paris! This workshop will arouse group interaction and bring your colleagues closed, helping them discover the hidden side of the authentic Paris together!